Find My Workspace lists over 95% of the business centres market in Hounslow. Simply click Request Quote to check pricing for one office, or Add to Basket for multiple offices. This landmark building is the tallest in Hounslow, with striking views of the surrounding area and nearby airport. A completely renovated interior has black marble features throughout, along with high-status, corporate-style offices. 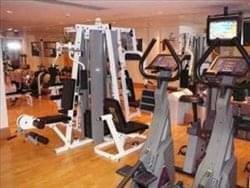 Car parking, gym, pool and restaurant are available to tenants. Office space is available on a flexible serviced offering or on a traditional lease. To obtain information for your selected Hounslow Business Centres, please tick the "Add to basket" box for each office you prefer and complete the form below. We will then send a detailed report via email.